* Application deadline: No specific deadline admissions purely depends on the seat availability, however considering the popularity of these courses it’s been advised to apply minimum 5-6 months before the class start date. Vancouver Film School one of the most sought schools by the students willing to pursue their career in the world of MEDIA, ANIMATION & FILM. The information below will give you a complete insight of all the relevant information. VFS is based on the philosophy that one year of concentrated work, that balances industry-led theory and hands-on production, gives students the necessary skills to craft a professional-level portfolio or reel. 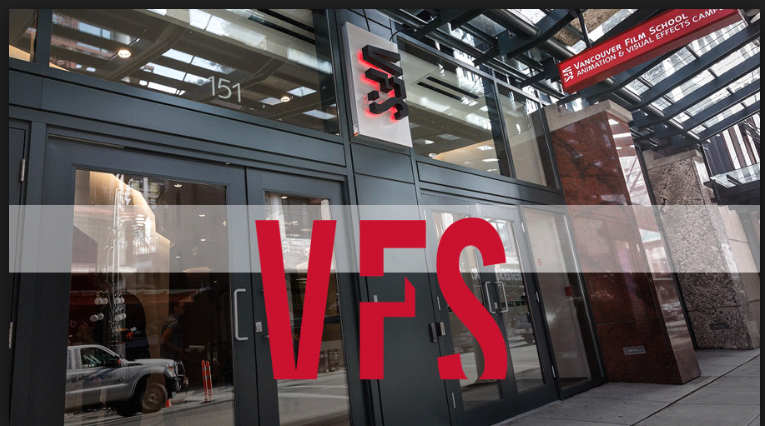 * Programs Available: VFS is a recognized world leader in entertainment arts education offering 13 world-class to over 1000 students across 8 campuses. It offers post-secondary programs and each program’s intensive curriculum evolves along with demands of the industry, and the best, current industry practices. ## VFS Animation program is no #1 in Canada and #2 in the world. 7. Maximum Gap allowed between studies is 5 yrs. * Work Permit: We don’t offer work permit. However during the program tenure at VFS, student can go for BCIT pathway program wherein after one more Year of study at BCIT, he will be eligible for work permit.